Top: Johanna Ortiz (on sale, see all my sale picks here). Shoes: Miista (also got them in this color) You can see ALL my woven shoe picks here. Woven Mini Tote: Loeffler Randall (available in three colors and you can customize with your name!). Skirt: Tibi, old you can see it styled here. 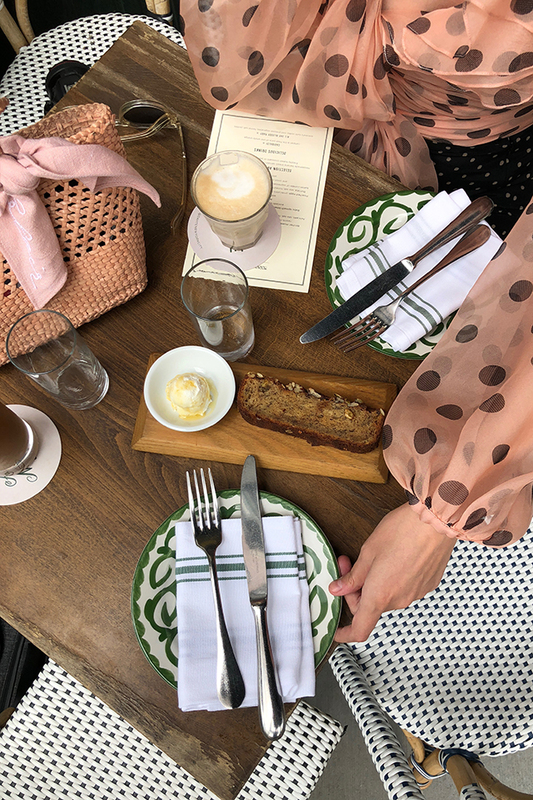 This post was taken at Dante (my NYC fave) but see all my favorite instagram worthy NYC cafes right here. Polka dots are so chic! I have been seeing this top everywhere, and the more I see it, the more I fall in love with it! 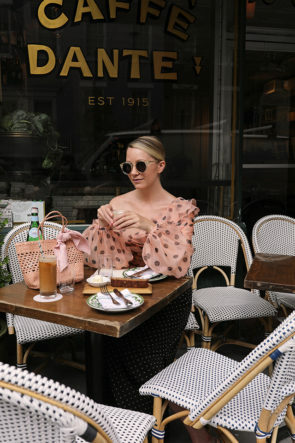 The silky material looks wonderful, I love the slight balloon sleeve, the polka dots, the blush pink colour, how it’s slight bardo, I mean the list could just go on! You managed to find the perfect location to style this outfit which is perfectly coordinated! You are looking absolutely chic in this outfit! You’re such a style queen! Two trends in one and I love it! Best pictures as always! I like the elegance of this beautiful outfit and the shoes are gorgeous! I love this polka dot mix!! This outfit is too beautiful! This outfit is too beautiful!! The top is gorgeous! I love the delicate fabric and pretty pink background for the polka dots. Loving this entire look, Blair! Those shoes are seriously SO good! This is divine! All the heart eyes. I LOVE woven bags! They look even better with a cute bow! The bag and shoes are great. But that fabulous Johanna Ortiz top ! This is really exquisite , the way the ruffles fall, the color and the tied bow all beautiful! Blair darling I can’t say enough about Polkadots. My desire to have fun with fashion is delighted. Great post! That outfit is so cute and chic. 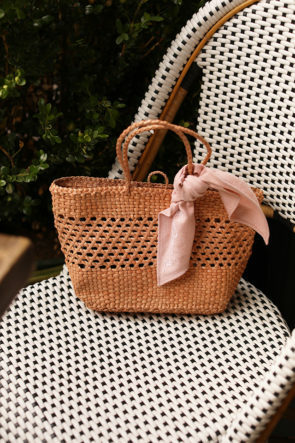 I love all the blush feminine details, and that straw tote with the little pink ribbon is adorable. That top is the definition of elegance!